The theme for WTISD-17, "Big Data for Big Impact," focuses on the power of Big Data for development and aims to explore how to turn imperfect, complex, often unstructured data into actionable information in a development context. The insight brought on by advanced analysis can strongly complement the evidence-based nature of decision-making that can be leveraged at national, regional and international levels to drive success towards attaining all 17 of the United Nations' Sustainable Development Goals (SDGs) for 2030. The theme for WTISD-17 is in line with ITU's work highlighting the technological developments that have facilitated the emergence of Big Data, developing standards related to Big Data and identifying sources and uses of Big Data, including the ing use of Big Data technologies for developing and monitoring improvements in information societies. The theme of the Second meeting of NPDRR is “Disaster Risk Reduction for Sustainable Development: Making India resilient by 2030”. 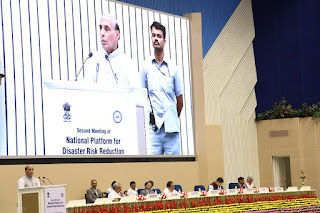 n. The NPDRR is a multi-stakeholders National Platform headed by the Union Home Minister and it promotes participatory decision making in disaster management, and strengthens federal policy of our country. version 3.0 of National Database on Emergency Management (NDEM) was launched by Shri Rajnath Singh. This version of 3.0 is device independent and browser independent and equipped with latest resource mapping tools and audio and video conference facilities. 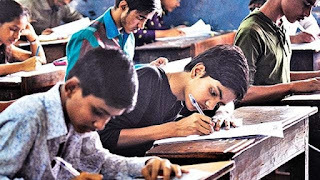 In a major decision that may have far reaching political and social implications, the West Bengal government has made Bengali compulsory in all schools, including private English medium schools of the State. The announcement was made by Education Minister Partha Chatterjee late on Monday evening at a hurriedly called press conference. Even though there are provisions for teaching language in schools, it was not mandatory that Bengali would be one of three languages for students. Other than Bengali, English and Hindi there are provisions for opting for Urdu, Gurumukhi, Nepali and Ol-chiki among other languages as the medium of instruction in schools of the State. India has been placed in the second spot in the renewable energy country attractiveness index by EY. 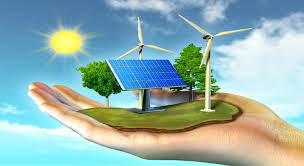 The UK accountancy firm noted the fast pace of growth in Indian renewable energy in the past three years. Over 10 gigawatt (Gw) of solar power was added between 2015 and 2017 and wind energy capacity grew to 5.4 Gw in 2017-18. In an auction for a 500 megawatt solar power park in Rajasthan, bids spiralled down to Rs 2.62 per unit. Also, in the first-ever auction of a wind power project, the tariff fell to Rs 3.46 per unit. 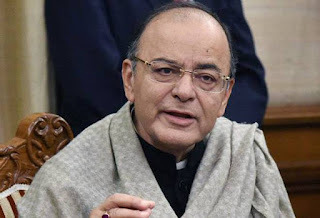 Finance Minister Arun Jaitley has launched the 'Operation Clean Money' portal that aims "to create a tax-compliant society". The portal will identify those who have made deposits or purchases not in line with the declared income. It will also enable transparent Tax Administration by sharing status reports, including an explanation of verification issues, and thematic analysis reports. In the first batch, around 18 lakh persons have been identified in whose case, cash transactions do not appear to be in line with the tax payer’s profile. After the launch of the website, both taxpayers and tax authorities could easily communicate with each other through customers' permanent account number or PAN details. The information in respect of these cases is being made available in the e-filing window of the PAN holder (after log in) at the portal http://incometaxindiaefiling.gov.in. The PAN holder can view the information using the link “Cash Transactions 2016” under “Compliance” section of the portal. India will transform gradually from young to a 'greying' country and by 2050 every 5th Indian will be in 60s as against every 12th at present. Flagging the demographic transition, a PFRDA-CRISIL report said it is important that the development of the under-penetrated pension market in India be initiated now, when the situation is ripe. 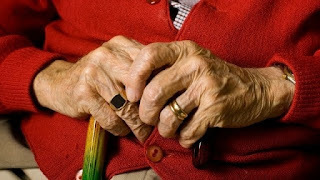 As per the report, the population of people above 80 is likely to increase from 0.9 per cent to 2.8 per cent by 2050. The Marine Products Export Development Authority (MPEDA) has launched a subsidy scheme for setting up of breeding units of colourful aquarium fishes and marketing societies in various states to facilitate their export. Through its new Ornamental Fish Assistance Scheme, MPEDA, an agency of the Union Commerce and Industry Ministry, provides subsidy for the ornamental fishery to registered Self Help Groups (SHGs) and Marketing Societies. Financial assistance is provided at the rate of 25 per cent of the total investment, subject to a maximum of Rs 10 lakh, to explore the huge potential of ornamental fishery as a livelihood option and foreign exchange earner. Under Grade I, maximum financial assistance was Rs 75,000 for a breeding unit, Rs 2 lakh under Grade II, and Rs 7.5 lakh under Grade III. 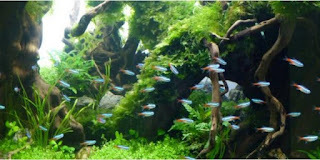 MPEDA has also launched a Green Certification scheme, the first of its kind for the freshwater ornamental fishery, to curb the harmful impact of wild capture of aquarium fishes and help maintain the environmental and economic sustainability. headquarters will help promote human rights and fundamental freedoms in the Muslim world through provision of objective and neutral views on many human rights issues, in accordance with international rules and in consonance with Islamic principles. Nearly a century after importing equipment from Britain for setting up its first thermal power station at Husain Sagar in Andhra Pradesh, India launched the process to export 'Ujala' -- Hindi for light -- to the United Kingdomwith affordable 'Made in India' LED bulbs. Ujala is globally one of the largest efficiency programmes and being run by Energy Efficiency Services Ltd, an energy services company promoted by Indian state-run power majors. Through this initiative, the government plans to replace all 770 million inefficient incandescent and CFL (compact fluorescent lamps in the country with LED (light emitting diode) bulbs. The programme has already turned India into the world's LED capital, accounting for 10-12% of the global market 4 billion bulbs. 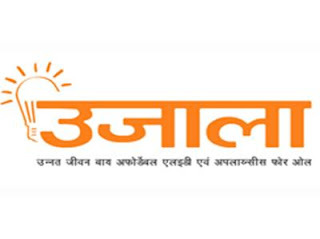 The Ujala scheme uses economy of scale and a sustainable market mechanism. 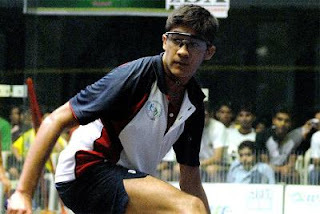 This was Tandon's third appearance in a Professional Squash Association final. The Kolkata player, who shifted to New York nearly six years ago for studies, has just begun to shape his career on the professional circuit. This has been his second tournament in the year, the earlier being a brief appearance in the qualifying phase in the Tournament of Champions. 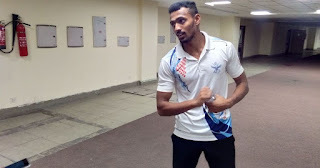 The 22-year-old Anas clocked 45.32 seconds under hot and humid conditions at the Jawaharlal Nehru Stadium. He also qualified for the World Championships to be held in London in August. The entry standard for the World Championships stands at 45.50 seconds. Rajiv Arokia and Sachin Baby were second and third in 46.32 seconds and 47.18 seconds respectively. 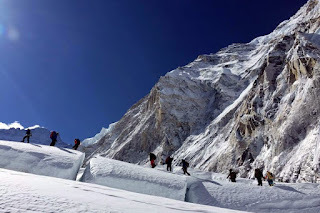 According to reports Indian climber Debasish Biswas and a woman climber from New Zealand successfully climbed 8516 meter high Mt Lhotse on Tuesday after a team of Sherpas fixed the route to summit. In the first summit of this year 14 climbers scaled highest peak of the world on Monday. 35 climbers made it to Mt. Everest on Tuesday morning. According to Tourism Department 373 fee-paying climbers have received permits to make an attempt on the world’s highest peak this spring. This is the highest number of climbing permits issued for Everest during a single season. HDFC Life has entered into a bancassurance tie-up with Catholic Syrian Bank to distribute its individual life insurance products to the private lender’s customers. The Indian Institute of Management Kozhikode (IIM-K) has launched its Laboratory for Innovation, Venturing and Entrepreneurship (LIVE), a business incubator and entrepreneurship development center. A proposal for LIVE was submitted by the institute in 2016, following which the Department of Science and Technology (DST) sanctioned a grant of Rs three crores. The selected ventures in this group are across a range of sectors, but many are based on digital technology. 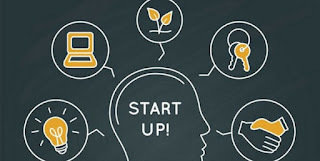 LIVE, which registered under the Indian Societies Act in June 2016, hopes to support startups not just founded by IIMK?s own students or alumni but also any idea owner with innovation that is believed to have commercial potential" the release said quoting Dr Keyoor Purani, Executive Director, IIMK LIVE and professor of marketing at IIMK. India's leading digital wallet player Paytm has received the final licence from the Reserve Bank of India for its payments bank entity. With this, the road is now clear for the Noida-based payments player to kickstart its much-awaited payments bank operations next week. At the same time, Paytm has also announced that its long time executive and vice president Renu Satti will be the CEO of the payments bank. Satti has been Paytm's owner One 97 Communications for over a decade, most recently heading its movie ticketing business. Paytm Payments Bank Limited will begin its banking operations from May 23rd, 2017. As per the Central bank’s guidelines, the company will transfer its wallet business to the newly incorporated payments bank entity under a payments bank licence awarded to Founder and CEO Vijay Shekhar Sharma. 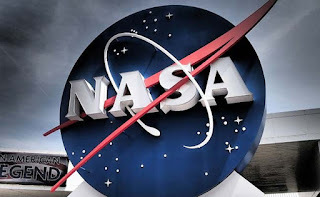 Teams of the National Aeronautics and Space Administration (NASA) of the United States and the Indian Space Research Organisation (ISRO) would inspect the excavation being carried out at an archaeological site in Haryana's Fatehabad district to verify claims of it being the oldest civilisation in the world. Archaeologists have recovered artefacts pre-dating the Harappan Civilisation from the site, located in village Kunal in Fatehabad district. The recovery of artefacts, estimated to be 6,000 years old, strongly indicated that the civilisation that had flourished in Kunal was in fact the oldest civilisation in the world.